Tsering Jong (Tib. ཚེ་རིང་ལྗོངས་, Wyl. tshe ring ljongs) — the monastery of Jikmé Lingpa in the Yarlung Valley. 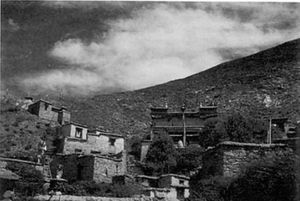 Between 1957 and the fall of Tibet in 1959 Gonpo Tseten Rinpoche was a resident teacher. This page was last edited on 6 June 2018, at 12:24.